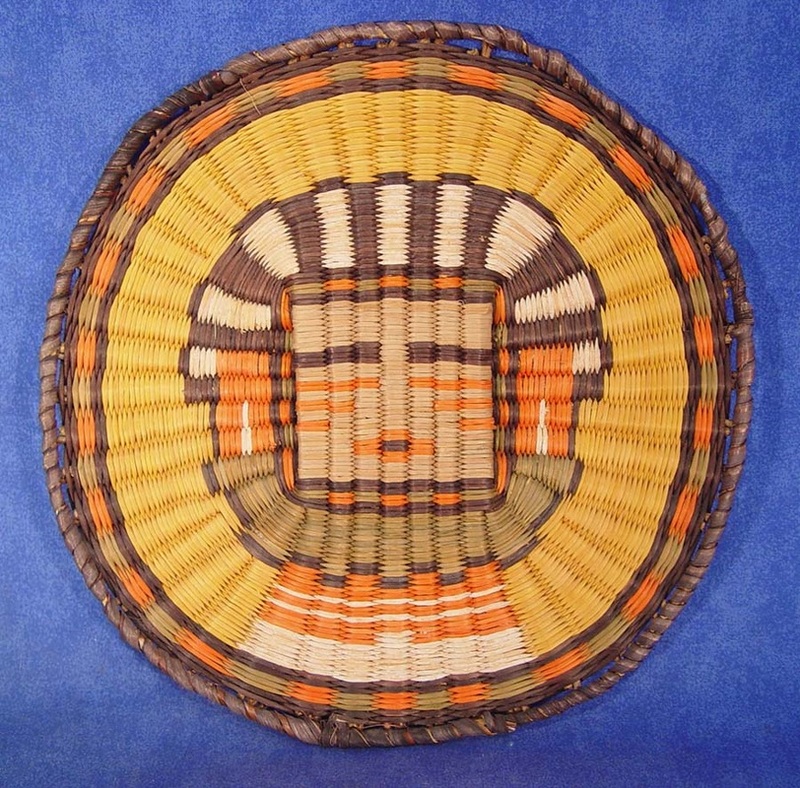 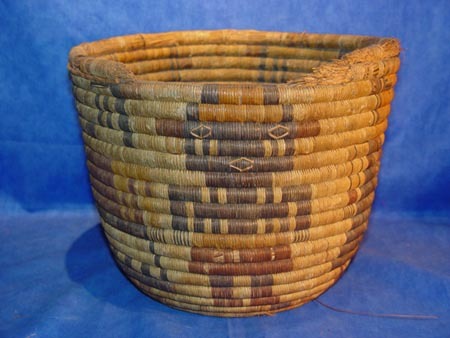 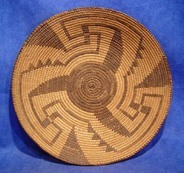 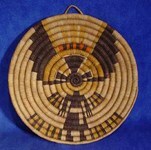 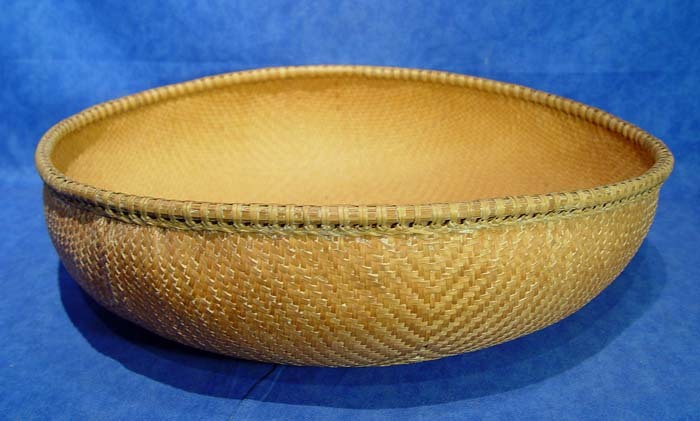 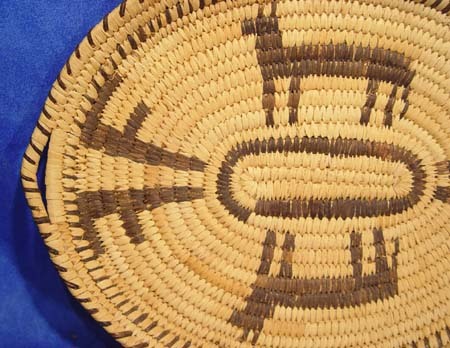 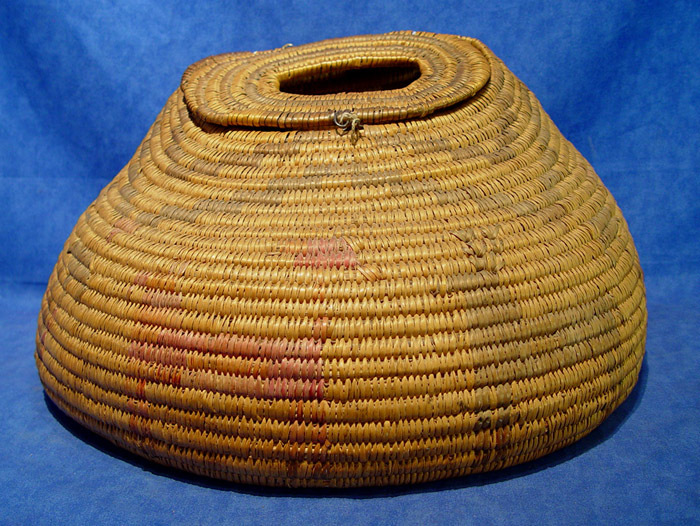 The Western Apache coiled basketry is always on a three rod foundation (usually willow) with weft of light colored willow, black devil's claw seed pod husk and red yucca root. 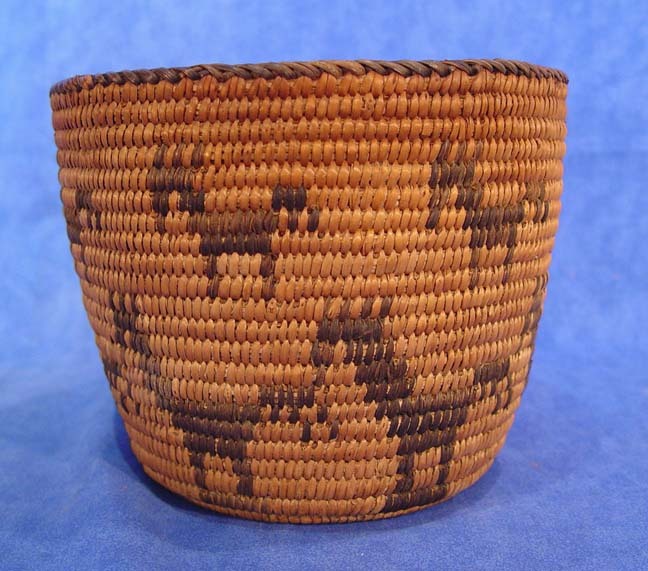 Pictorial and poly-chrome baskets are highly desired. 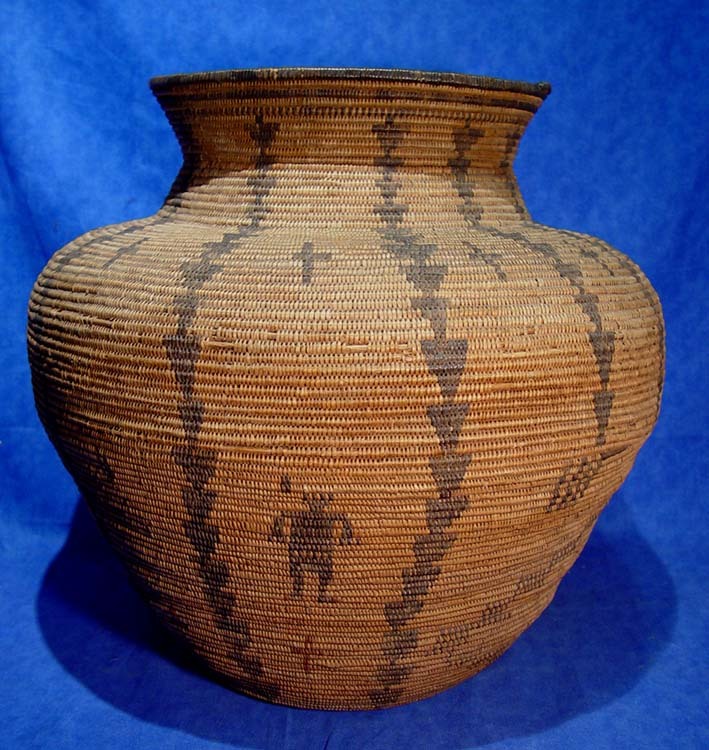 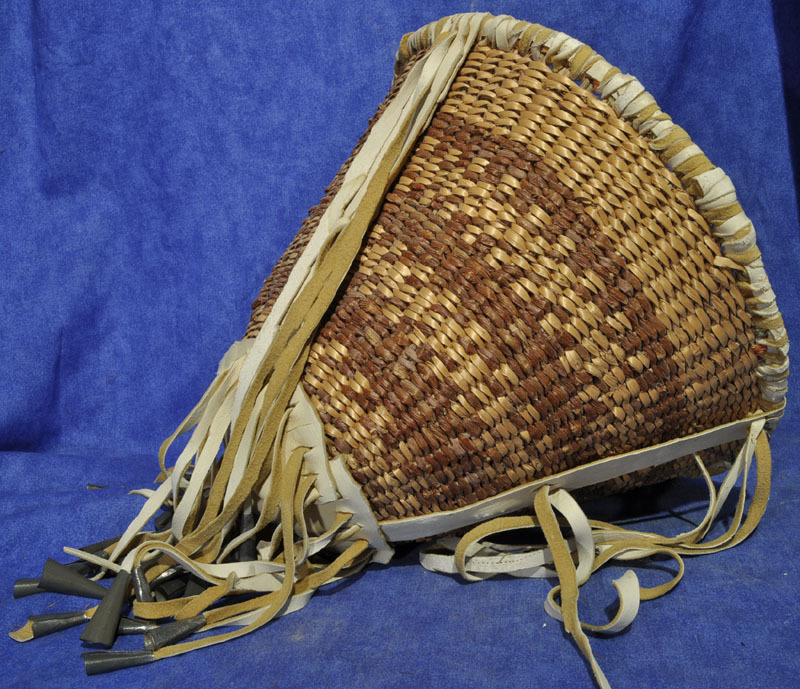 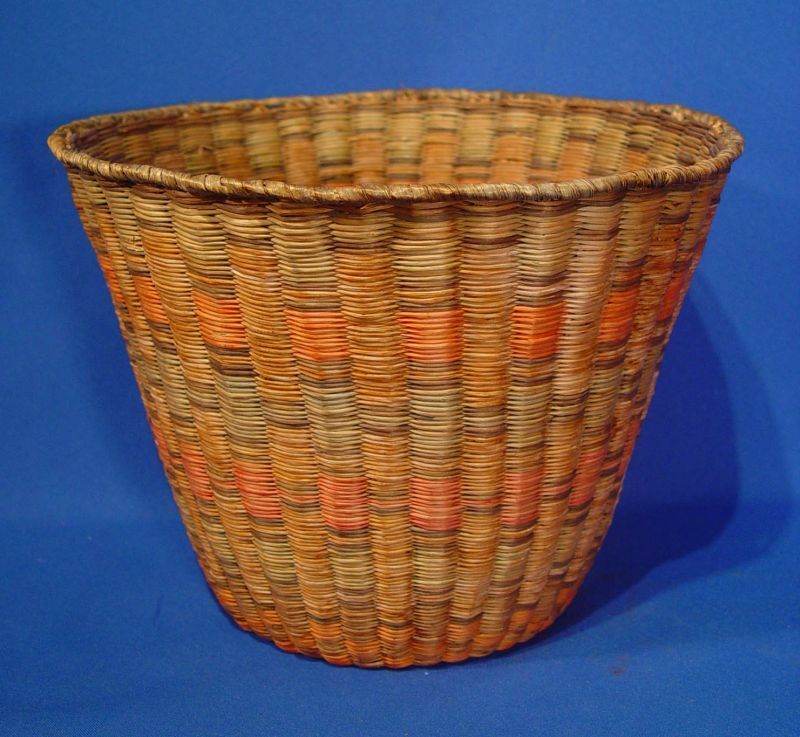 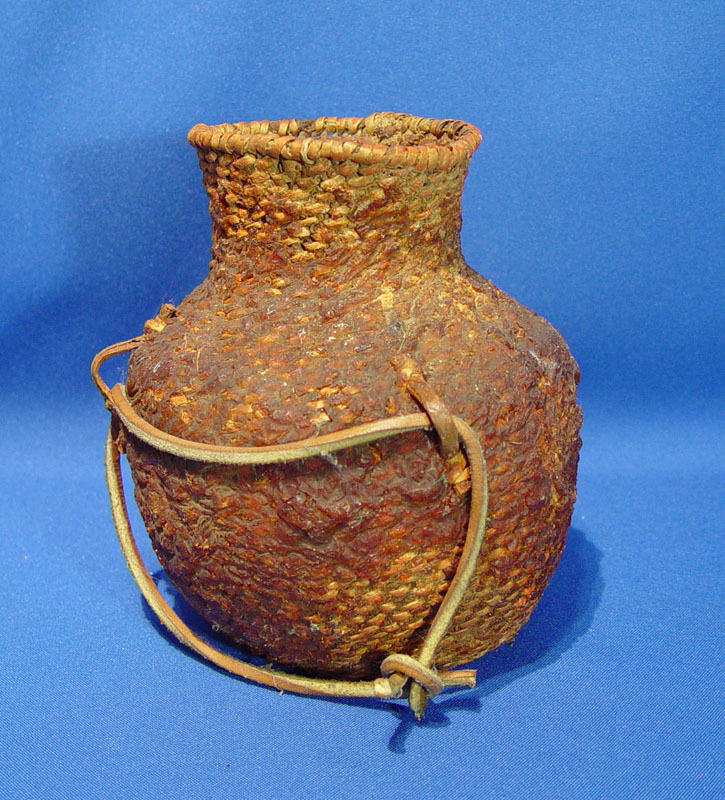 The twined basketry is seen primarily in their conical burden baskets and pitched water jars (see examples below).